Upload your images before November 30th 2018. Each picture must have been produced with the aid of computer graphics and must be your own copyright. See the upload page for further details. 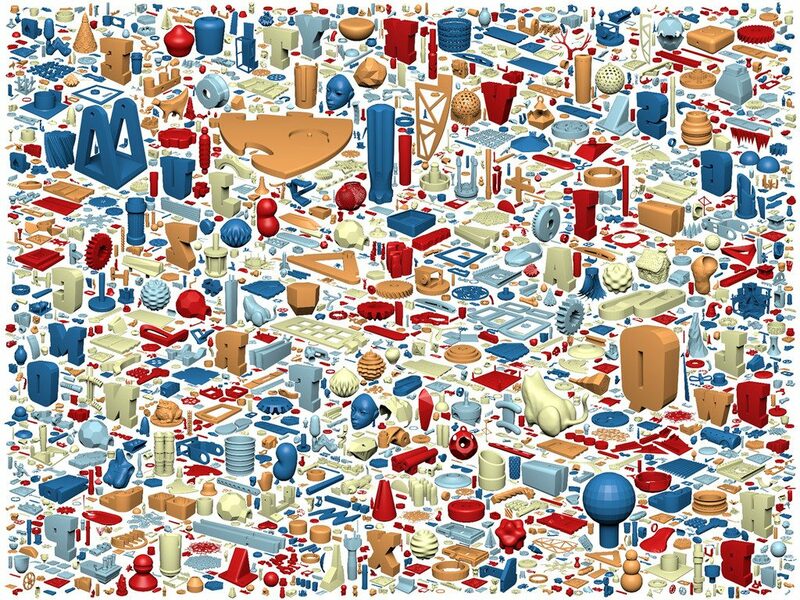 This image shows all 10,000 models that compose the Thingi10k “Thingi10K: A Dataset of 10,000 3D-Printing Models”, winner of the SGP 2017 Dataset Award. The dataset is publicly available and the provided web interface allows filtering on mesh quality and statistics. The image is rendered using Mitsuba and a packing algorithm.